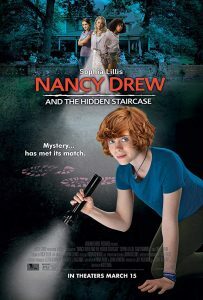 Now, it’s no secret that Nancy Drew is timeless. The books were first written in 1930 by Carolyn Keene and and they have been inspiring women ever since. I believe Nancy Drew is timeless and we all need a little girl power! This entry was posted on Tuesday, March 19th, 2019 at 4:02 pm and is filed under Feature Film Reviews. You can follow any responses to this entry through the RSS 2.0 feed. Both comments and pings are currently closed.